Leak test services include quantitative and qualitative results using air under water, air decay and pressure decay methods. Testing can be performed to customer specified parameters or Baron recommended parameters. 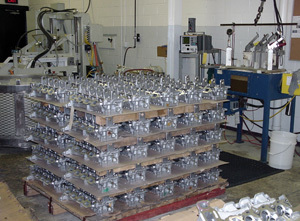 Leak test apparatus and fixtures are made or supplied by customer for a specific part.